This is a guide to the beach, once you complete the Life Dreams and Legacies Quest you will have the ability to unlock the beach. 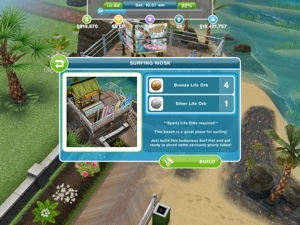 Building the beach requires orbs, 2 bronze and 2 silver sporty orbs. Once you unlock the beach you unlock the Seashell Collecting hobby that toddlers and preteens can partake in. 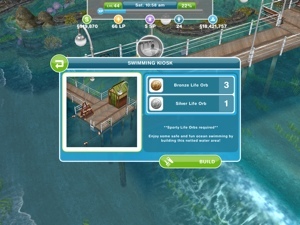 There is also a swimming kiosk which also requires orbs to build, it is basically a swimming pool in the sea, so you use it the same as you would at the swim center or a pool at home, it also has a diving board. I think that is about everything, I really like the beach, I definitely think its worth the amount of time it takes to earn all the orbs! If you want detailed information on any of the hobbies please click on the links above! 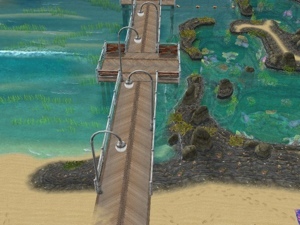 My sims do not like fishing at the pier. That or it’s super glitchy. 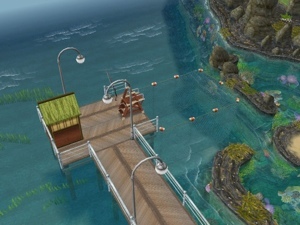 When I send a sim to fish at the pier, I have to watch them walk all the wayb down to the fishing pole. If I don’t, the simtracker says they are fishing, but when I come back when they are “done” I find them standing on the beach. And they have the speech bubble with two feet. Nothing is in their way! Anyone else have this happen? how annoying, I’ve not noticed this yet! Hello, This is about the loading screen. I’m not able to read the whole message before it goes away. It it about the architecture homes. Could you explain it if possible. Thank you. how to get the bronze and silver orbs? please help. In order to get a orb does my sim have to die? 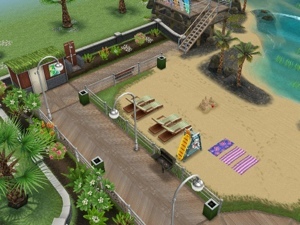 After you build beach and click on flashing icon, are the hobbies timed? And start the second you click on it? There is no time limit on these hobbies, please click on the links in this post for information on each hobby. 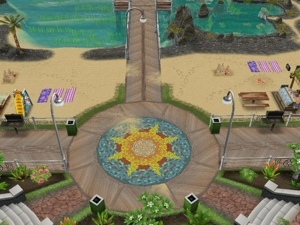 When can you build the beach on the mainland? I’m on level 31 and it still tells me I have to wait for the next event. I haven’t completed the life dreams and legacies quest yet so I can’t build the beach on the island yet, but do I have to finish the quest for the one on the mainland too? Do you mean the romantic island event? You will need to wait for them to bring back this event to the game (if they ever do) as it is currently unavailable. Oh. Yes, that’s what I mean. I always thought it was a beach. That’s a shame that it’s unavailable. Thank you! 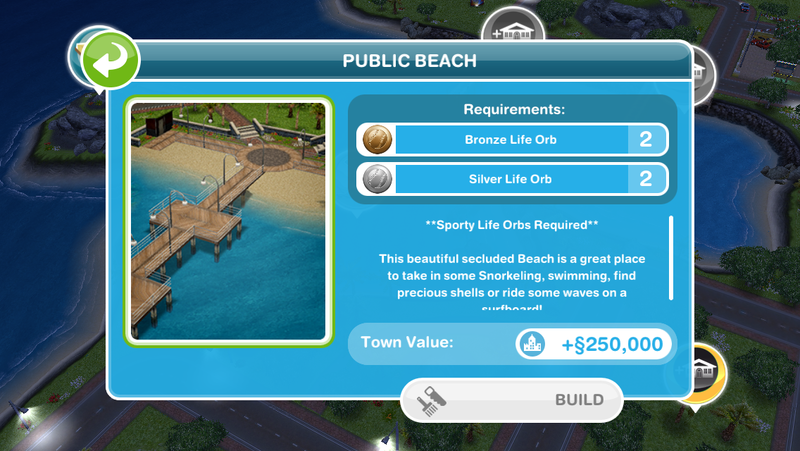 Does building the beach affect the prices of unbuilt buildings (pet store, mall, etc.)? No it doesn’t as it costs orbs to build not simoleons. 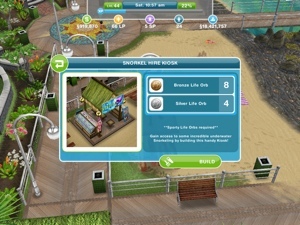 Once you build everything on the beach, for example the snorkelling kiosk etc then they are fully upgraded, you cannot upgrade them anymore. I’m reading about the beach right now and something totally unrelated came to me from earlier today. I figured this was as good a time to pass this along to you. I was looking closely at all of the standard lots for sale and I noticed the Wedding/Reception Venue is missing the big fridge on the first floor. It may be a glitch but just wanted pass it along to you. I also have to say that you are the reason I can get through the quests, maneuver around in the game, earn Simoleons, LPs and SPs with lightning speed (I’m not really THAT fast!!) and pretty much do everything that I do in the game. You are amazing and I am in awe at what you accomplish!! I hope everyone follows your wonderful words of wisdom and appreciates how special you are to all of us. Thank you a million times and more! On the live Pregnancy announcement It was so terrific that they mentioned you and the hard work that you do for all of us. I was so glad they did. You absolutely deserved the shout out! !